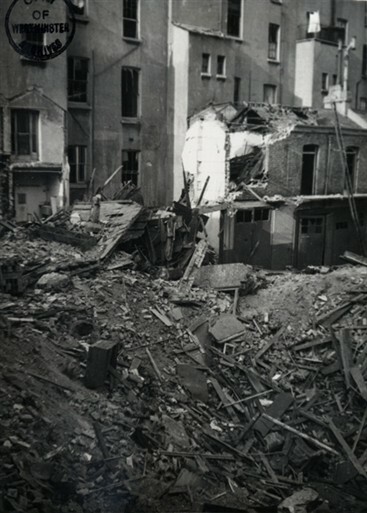 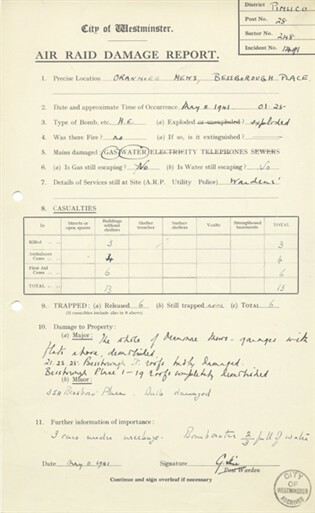 On 11 May 1941, Oranmore Mews, a block of flats on Bessborough Terrace, Pimlico, home to ten families, was completely destroyed by a 250 kg high explosive bomb. 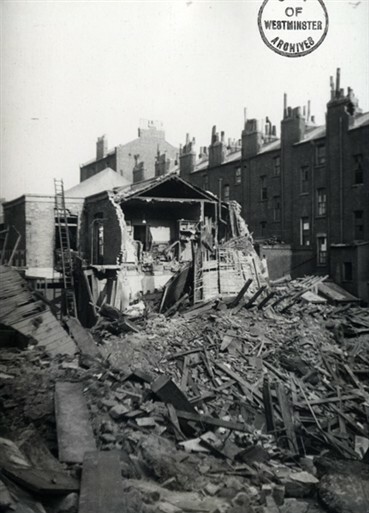 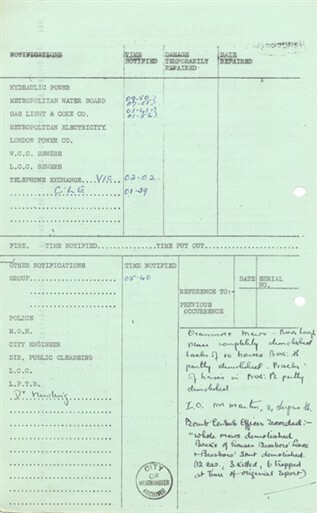 The mountain of debris blocked surrounding roads, obstructing the emergency services as they attempted to reach the victims.The bomb also caused minor damage to both water and gas mains – but fortunately there were no serious leaks. 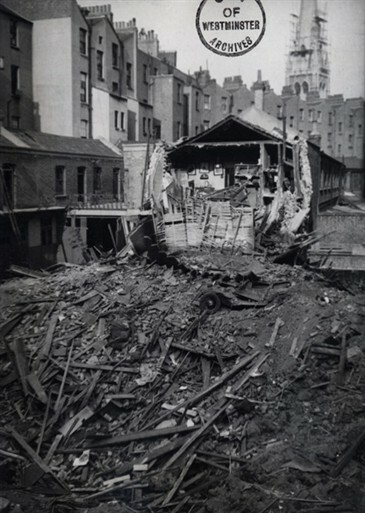 The pile of rubble caused by the collapsed tenements buried three cars and trapped six people. 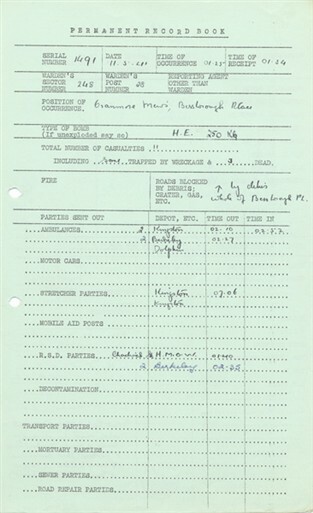 A total of three people died, with four others taken away from the scene by ambulance.